The ATOM Project seeks to unite global public opinion about the documented catastrophic humanitarian consequences of nuclear weapons testing – particularly the 450 nuclear tests conducted in Kazakhstan between 1949 and 1991 that adversely affected the health and lives of nearly two million people. The Project recognizes that in recent decades the cause of abolishing nuclear weapons and weapons testing, and the awareness of the fundamental dangers they pose to life on the planet have become superseded by other humanitarian and environmental issues. The Project believes the time has come to revive among governments and publics around the world an awareness of how dangerous and appalling the consequences of the testing and retention of nuclear arsenals has been, and of the threats that their continued possession poses to the human race. The ATOM Project’s mission is the unification of global support for a permanent end to nuclear weapons testing and the complete eradication of nuclear weapons by all countries. 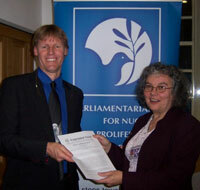 The ATOM Project seeks to share documented reports and concerns of scientists, doctors and nuclear experts around the world about the medical and environmental costs of nuclear weapons production, testing and deployment to the general public and then inspire them to take concrete action by signing the international ATOM Project petition. The ATOM Project is implementing an international communications effort with a particular focus on the publics of nuclear weapons-armed states to educate and remind them of the terrible realities of nuclear war that were documented in the 1945 attacks on the cities of Hiroshima and Nagasaki, and on the enormous human and environmental damage and suffering caused by the legacy of five decades of nuclear weapons testing that followed around the world until the Comprehensive Test Ban Treaty was open for signature in 1996. The ATOM Project is also developing follow-up steps to its educational and awareness efforts to focus growing global concern about the threat of already existing nuclear weapons arsenals. These include developing plans to organize a movement to hold a global referendum that will enable people around the world to directly exercise their sovereign rights to express their position on the nuclear disarmament issue. The ATOM Project highlights the suffering of individual victims of nuclear testing over the decades around the world and hopes to bring attention to the peoples of the world the plight of possibly as many as 15 million victims of radiation poisoning that are suffering today worldwide in countries such as Kazakhstan, Marshall Islands, Japan and Algeria. The stronger the public support the ATOM Project can generate through its educational and awareness-raising efforts and its international petition drive against weapons testing, the more it will be able to generate increased support for the efforts of non-governmental organizations (NGOs), parliamentarians and activists in support of the initiative to influence the leaders of major nations towards achieving a nuclear weapons-free reality. The ATOM Project features the stories and images of some of the survivors and victims of the 40 years of nuclear testing in Eastern Kazakhstan and of the severe physical consequences suffered by their descendants. Though sometimes difficult to witness, these individuals are featured in the campaign in order to demonstrate the human toll of nuclear weapons testing. 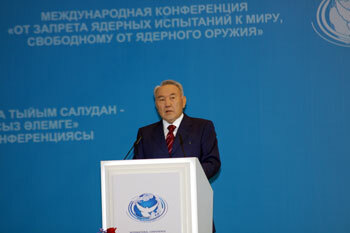 Kazakhstan’s President Nursultan Nazarbayev launched the ATOM Project at the opening plenary of the 2012 international conference From a Nuclear Test Ban to a Nuclear Weapons-Free World, in Astana, Kazakhstan on August 29. The event drew more than 200 participants from more than 75 countries and more than 20 international organizations, including the United Nations and the International Atomic Energy Agency. The conference included participants from more than 70 parliaments from around the world, including from nuclear weapons possessing states and nuclear allies. The gathering was organized by the Majilis of the Parliament, the Nazarbayev Centre and the Foreign Ministry on the Kazakhstan side, and by the Parliamentarians for Nuclear Nonproliferation and Disarmament (PNND). “Under the Project, any human being on Earth who stands against nuclear weapons, can sign an online petition (at www.theATOMproject.org) urging governments of the world to abandon nuclear tests forever and ensure early entry into force of the Comprehensive Nuclear Ban Treaty. I urge the participants of the conference and all the people of the goodwill to support the ATOM Project and to make the creation of the non-nuclear world our main goal,” the president added. The ATOM Project is being implemented by the Nazarbayev Center, whose mission includes working to advance President Nazarbayev’s vision of a nuclear-weapons-free world. Nazarbayev also suggested creating a global anti-nuclear parliamentary assembly. “Parliamentarians from all countries of the world are present at the conference today. That is why this forum can be called a prototype of the global anti-nuclear parliamentary assembly. I suggest considering the establishment of such an institute,” he said. Nazarbayev also urged the necessity of developing the ATOM Project to revive popular movements around the world to campaign together for the abolishment of all nuclear weapons. 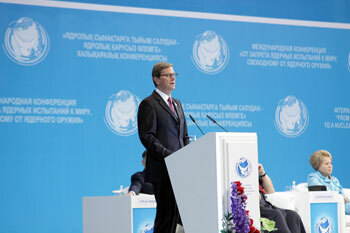 German Foreign Minister Guido Westerwelle who attended the August 29 conference also announced his country’s support for the ATOM Project. Dr. Lassina Zerbo, representing the Comprehensive Nuclear Test Ban Treaty Organization (CTBTO), acknowledged the success of the Comprehensive Test Ban Treaty over the past 16 years in virtually eliminating the specter of nuclear test explosions around the world. But he also warned against the dangers of complacency and of the need to revive and reinvigorate the movement for global nuclear disarmament. “Since the CTBT was adopted in 1996, the genie of nuclear testing has virtually been pushed back into the bottle. In contrast to some 400 explosions every decade since 1945, there were only two tests in the last decade. However, until we seal the bottle once and for all, until we bring the treaty into force, none of us can feel safe,” Zerbo said. Douglas Roche, founding chair of PNND and the Middle Powers Initiative (MPI), called on parliamentarians to strengthen their actions in their legislatures, guided by the Parliamentary Appeal for Nuclear Abolition adopted at the assembly. He outlined the MPI Framework Forum which is an informal process of governments exploring what would be required for establishing the framework for a nuclear weapons-free world. 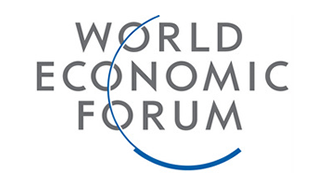 The next meeting of the forum is scheduled to be hosted by the German Foreign Ministry in Berlin in February 2013. Roche also called for a new effort for the heads of governments – similar to the Six Nation Initiative of 1984-1989 – to elevate the call and commence the process to achieve a nuclear-weapons-free world. His proposal was explored in more detail by Jonathan Granoff, president of the Global Security Institute, in a subsequent panel of the August 29 conference. A 1991 study by the Nobel Peace Prize-winning organization International Physicians for the Prevention of Nuclear War (IPPNW) estimated that the radiation and radioactive materials from atmospheric testing taken in by people until the year 2000 would cause 430,000 cancer deaths, some of which had already occurred by the time the results were published. The IPPNW study further predicted that roughly 2.4 million people could eventually die from cancer as a result of atmospheric testing. The CTBTO accepted this estimate and cited it in its own publications. Bio-statistician Rosalie Bertell in her 1985 book No Immediate Danger: Prognosis for a Radioactive Earth estimated that the global casualties from nuclear weapons production and testing are much greater, probably between 10 million and 22 million. Bertell’s figures were higher than those previously accepted by the International Commission on Radiation Protection, which had assumed a safe minimum threshold for radiation exposure, and thus estimated a lower impact from low-level radiation exposure from the nuclear tests. However, the United Nations Scientific Committee on the Effects of Atomic Radiation in its Year 2000 Report to the UN General Assembly rejected the threshold argument, thus indicating that Bertell’s figures are probably more accurate than the lower figures from ICRP. The UN Committee also affirmed Bertell’s estimates about the much greater risk of damage to genes, and cancer risks to babies and fetuses in utero and young children than accepted by the ICRP. More recently, studies by the International Commission on Radiological Protection also support Bertell’s earlier warnings and further challenge the threshold argument. They further point to the conclusion that there is no threshold, and that low-level radiation from global testing has thus caused – and will continue to cause – health effects proportionate to the total radiation absorbed globally, and not contingent on moderate or high-level individual absorption. 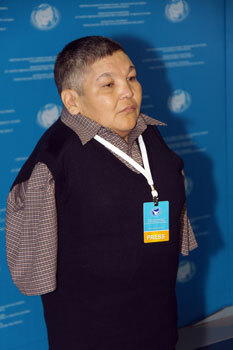 The children who were born deformed to the inhabitants of Eastern Kazakhstan who lived within the fallout region of the 40 years of Soviet nuclear testing bear eloquent witness to how the careful, precise scientific terms used by experts warns of a horrific human reality of unlimited suffering. Trapped in a body of a three-year-old baby, 11-year-old Valikhan Serikkaliev suffers from osteogenisis imperfecta leaving him crippled and unable to walk for life with severe bone deformity and abnormally small stature. His condition is incurable. The face of Berik Syzdykov, 33, is horribly deformed and has become almost unrecognizable as a human face as his facial cancers have developed. Syzdykov suffers from neuro-fibrolipomatoz, benign tumor, residual encephalopathy and congenital glaucoma and has had to undergo numerous surgeries. He is now incurably blind. Three-year-old Rustam Zhanabayev lives in a foster home. His genetic deformities were so horrific that he was abandoned at birth by his parents. He was diagnosed with malfunction of the brain, and hydranencephaly at the stage of decompensation. His brains have the consistency of water. He spends his entire life in a wheelchair and cannot move his head because it is too heavy for his body. Dina Batyrova is another abandoned baby that lives in a foster home. She was born with a malformation of the brain and hydranencephaly at the stage of decompensation. Her head is the size of her whole body and it is filled with water. She cannot move it and she cannot even sit up. She could die at any moment. 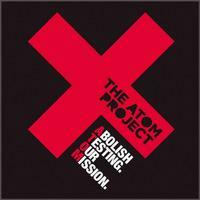 The ATOM Project is dedicated to reviving and expanding the movement for global nuclear non-proliferation and disarmament to ensure that no more nuclear tests take place and that eventually the specter of nuclear war is fully and finally removed from the human race.